Daniel Stein Kokin is Junior Professor of Jewish Literature and Culture at the University of Greifswald in Germany. 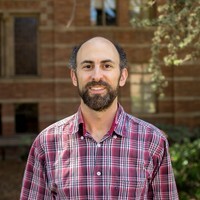 He has been a Visiting Assistant Professor at the UCLA International Institute since Fall 2017, with a primary focus on Israel Studies. In 2015-16, he served as the Viterbi Professor of Mediterranean Jewish Studies at UCLA. During the 2018-19 academic year, Professor Stein Kokin will teach two undergraduate courses in the Department of Near Eastern Languages and Cultures: “Settlement in Israeli History” and “Zionism: Ideology and Practice in Making of Jewish State.” He will also teach “Europe and Israel: The History of a Vexed Relationship” in the International and Area Studies program of the International Institute. In the 2017-18 academic year, Professor Stein Kokin also taught “Introduction to Jewish Studies" and “Symbolic Places and Spaces in Modern Israel and the Palestinian Territories” in the Department of Near Eastern Languages and Cultures. Professor Stein Kokin’s research ranges across Renaissance, Jewish, and Israel Studies and has been supported by Villa I Tatti: The Harvard University Center for Italian Renaissance Studies in Florence, Italy and the Käte Hamburg Kolleg of the Ruhr University Bochum in Germany. A native Angeleno, Daniel Stein Kokin received his B.A. in Classics from The University of Chicago and his PhD in Renaissance Intellectual History from Harvard University, completing additional coursework in Jewish Studies at The Hebrew University of Jerusalem.